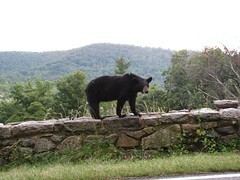 Taken on the Skyline Drive, in north Virginia. Didn't dare get out of the car. Russian bears are keeping tabs on you everywhere--- even in Amerika.